With the visit of Roy Benyon, leader of the Translation and Interpretation Team of the Pacific Community (SPC), students from the Master of Interpreting and Translation Studies recently had the opportunity to gain knowledge on a specific facet of their future profession: the roles of translators and interpreters who operate in an international organisation. The SPC is a bilingual (French-English) organisation based in New Caledonia and founded in 1947. It works across the Pacific islands in public health, geoscience, agriculture, forestry, water resources, disaster management, fisheries, education, statistics, transport, energy, human rights, gender, youth and culture to help Pacific Island people achieve sustainable development. 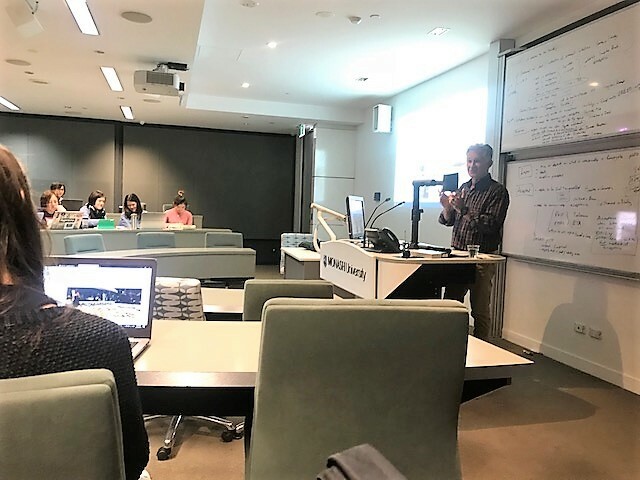 In his presentation to students, Roy Benyon introduced the role and mission of the SPC in the region, and explained what the Translation and Interpretation Team’s work consists in, from the translation and revision of working documents, the management of terminology, and the use of translation technology, to the simultaneous interpretation of the organisation’s meetings held across the Pacific. He also gave them precious advice on what to expect at the start of their future careers. 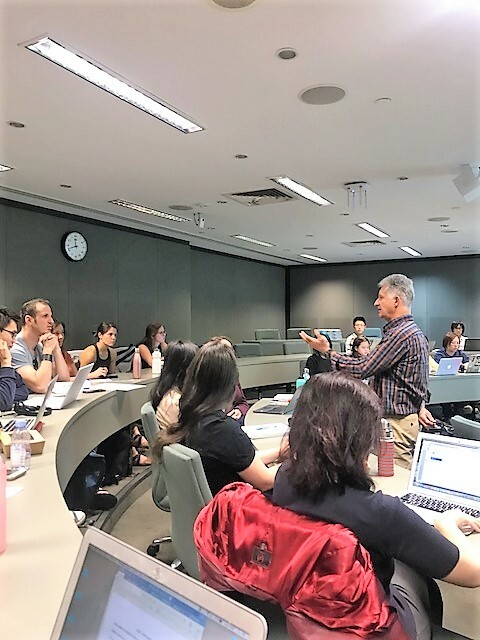 Mr Benyon also attended a multilingual mock conference in Chinese, English, French, German, Italian and Japanese, organised by MITS staff members Dr Marc Orlando and Dr Jim Hlavac, where he observed interpreting students in action and provided them with constructive feedback from an industry perspective. The two-day visit was organised through the MoU signed between SPC and the Monash Translation and Interpreting Studies program that also allows MITS students to undertake internships at the headquarters of SPC in Noumea.